Multidisciplinary issues need multidisciplinary solutions. That’s biology major and visual arts minor Anika Ullah’s mantra. Ullah believes that when put together, visual media, science and community engagement can serve as powerful tools for gaining insight into current health-related issues, shaping scientific study design and increasing public agency—and she’s dedicated her undergraduate career to three local, binational and global projects that accomplish that aim. After interning for five summers at Stanford University during high school and college developing a low-cost therapeutic platform for inflammatory bowel disease (IBD), Ullah became committed to conducting cost-effective biodesign and biomedical research that aims to improve the health of populations in low-resource settings. “When I moved from the Bay Area to attend UC San Diego, I quickly realized the breadth and complexity of health-related social issues impacting communities near the U.S.-Mexico border,” said Ullah. The realization motivated her to found the Intersectional Health Project San Diego in December 2016, a nonprofit organization that has already led to many community-engaged health projects. Moved by what she learned, Ullah decided to produce a documentary film highlighting community experiences with border-generated pollution and health in San Ysidro. Ullah’s work on the documentary ended up leading to yet another project. The study will be part of the Global FoodOmics Project, which is closely affiliated with the American Gut Project also at UC San Diego. 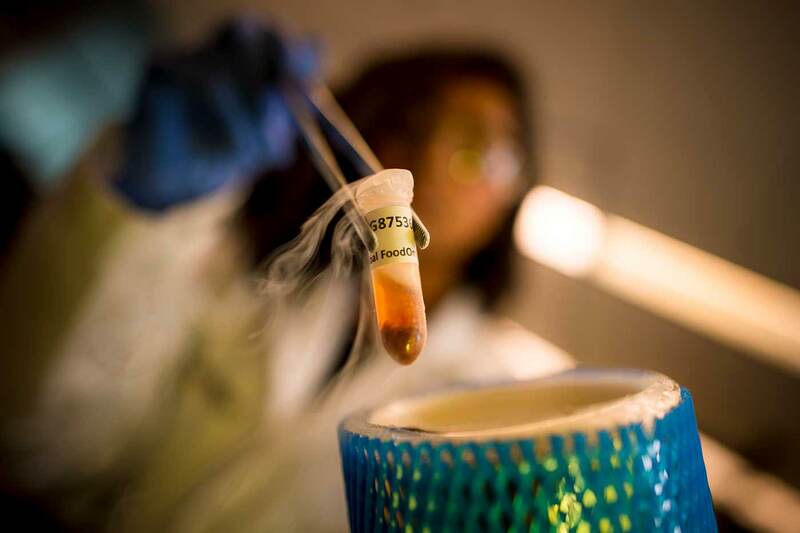 Global FoodOmics is a multi-disciplinary effort initiated by postdoctoral scholar Julia Gauglitz to better understand the small molecules and microbes that comprise the foods that we eat and drink. 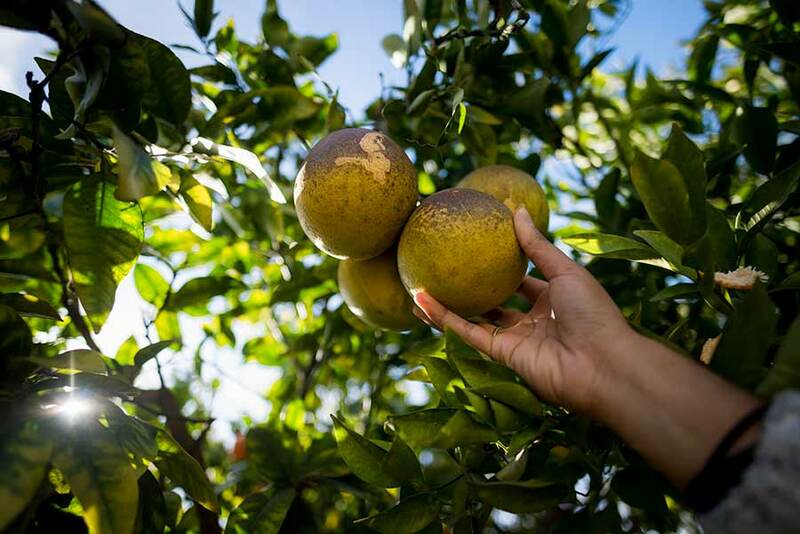 Gauglitz, a strong proponent of mentoring undergraduates in research, is leading Ullah in her quest to learn what makes the polluted fruits from San Ysidro different from local, store-bought varieties, and how they might contribute to local air pollution mitigation efforts. The Betel Nut Project will also feed data to Global FoodOmics. 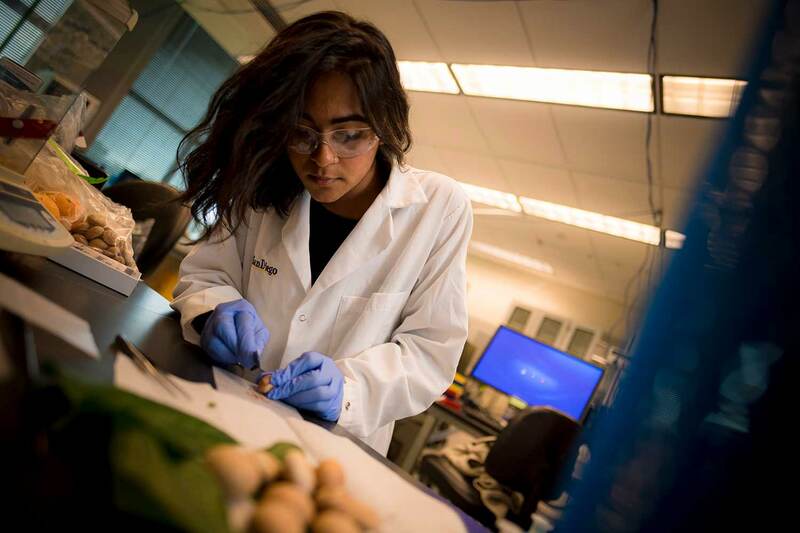 Ullah is currently a semifinalist for the Fulbright U.S Student Research Fellowship, which will enable her to travel to Taiwan and China after graduation to continue her research on the link between cultural practices of betel nut preparation and oral cancer in collaboration with the Taiwanese vice president’s research team. Ullah was recognized in December by the UC San Diego Division of Biological Sciences as a Gabriele Wienhausen Endowed Biological Sciences Scholar for exceptional science involvement, community engagement and leadership, and spoke as one of 12 undergraduate plenary speakers worldwide for Harvard's National Collegiate Research Conference, the largest undergraduate research conference, which took place January 18, 2018. Past keynote speakers include Nobel laureates and the executive editor of the New York Times. Ullah spoke about the above three local, binational and global projects she has been leading as case studies for synthesizing scientific research, community engagement and visual media for health activism. On February 26, 2018, Ullah will travel to the UC Undergraduate Research Ambassador Showcase in Sacramento to share her research with alumni, legislators and other involved Californians. In addition to these projects, Ullah is completing an undergraduate honors thesis in computational microbiology, women’s health and visual arts. 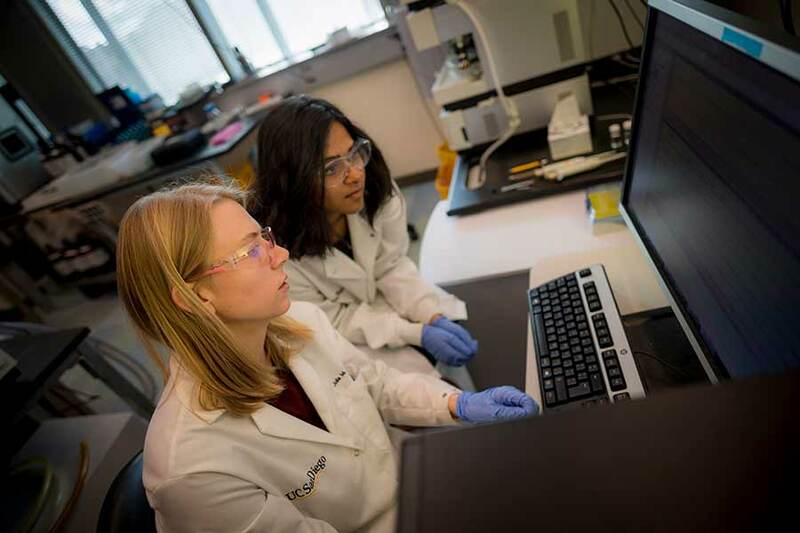 Her thesis consists of a clinical study (in partnership with the UC San Diego Student Health Clinic) that investigates the impact of antibiotics on the urinary microbiome and metabolome during urinary tract infection (UTI) recovery. The project includes an art installation that uses visualizations of clinical data. Ullah is mentored by UC San Diego faculty members Rob Knight, Pieter Dorrestein, Linda Brubaker and Fonna Forman.